The PAN-Tribal Global Equity Fund, the winner of the Money Management/Lonsec Fund Manager of the Year Award in the Global Equities category, has one very simple aim of delivering long-term capital growth to investors. The strategy seeks to outperform the MSCI All Country World Index, in Australian dollar terms, over the medium to long term by investing in companies with attractive long-term growth potential in both developed and developing markets. Lonsec describes the fund’s portfolio manager, Danton Goei, as an “experienced and high calibre professional,” and said the fund benefitted from investment in consumer discretionary, industrial and IT sectors as well as exposure to emerging markets in 2017. 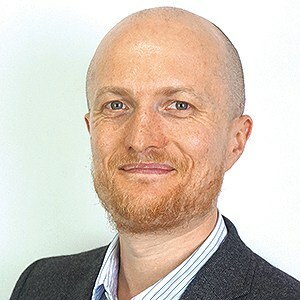 According to PAN-Tribal Asset management chief executive Colin Woods, a big part of what sets his shop’s investment process apart from that of its peer group is the “Davis Investment Discipline,” which has been consistently applied since 1969 through both bull and bear markets, oil shocks, tech bubbles, and the GFC. Davis Advisors is the New York-based sub-investment manager of the PAN Tribal Global Equity Fund, founded by Shelby M.C. Davis. The Davis Investment Discipline involves purchasing durable businesses with expanding earnings at value prices and then holding them for the long term. According to Woods, the Davis Investment Discipline was first applied in 1969 and remains intact today. There is also an underlying rigour to the investment, with Davis Advisors paying careful attention to the valuations and earnings multiples of every company owned or considered for investment. It is this rigorous long-term approach to investing, and a belief that “you can’t get away from doing the work,” that Woods argues has stood PAN-Tribal in good stead through a variety of market conditions. Nominated as a finalist in the same category alongside PAN-Tribal was the Colonial First State Generation Wholesale Global Share Fund, which employs a global long-only strategy where the team incorporates sustainability into their vigorous investment process with the aim of delivering longterm performance. Fellow finalist, the T. Rowe Price Equity Fund, has a high conviction, bottom up approach focused on durable companies with superior growth prospects.